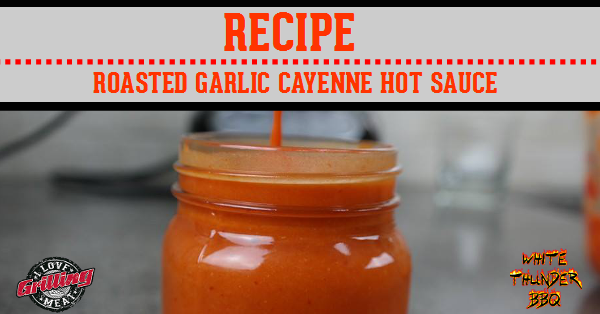 A really spicy hot sauce with a garlicky punch in this roasted garlic cayenne hot sauce recipe. I used up all of my homegrown ripe cayenne peppers to make this deliciously garlicky chili sauce. I really hope you give this one a try. Super awesome hot sauce in about an hour. No fermentation needed! Put it on chicken, pork, pizza, or any other food you can imagine, this hot sauce goes well with all. This sauce is a new family favorite, wife and father in law cannot get enough!! Awesome Jason, glad you and the family love it! That is pretty awesome Jason!! Just wait till you see what I come up with this year for a hot sauce recipe! Sausage gravy and biscuits is my favorite to put hot sauce on and eggs! Ohhhh Yes James, that sounds gooooooood!! !